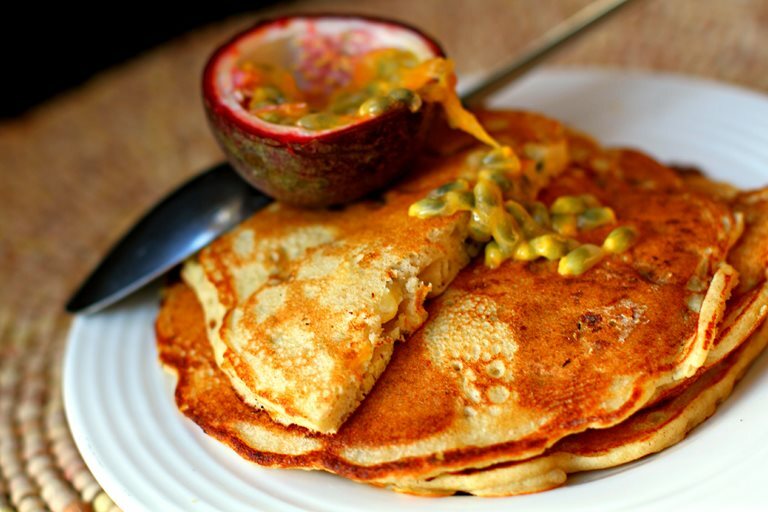 Deena shares her great recipe for light, fluffy buckwheat pancakes, served with delicious fresh fruit as a substitute for a normally sugary breakfast. The perfect start to the day. One of the things I find hardest to stick to in terms of maintaining a healthy lifestyle is just getting enough sleep. So I asked my husband to give my boy breakfast, whilst I sleepily addressed the very important matter of what my body was craving. Unlike days of care-free eating in the past, my body is now giving me warning signals (as well as my doctor) and though weight isn’t the challenge here, my family has a history of diabetes and I cannot fight the genes with sugar and win. 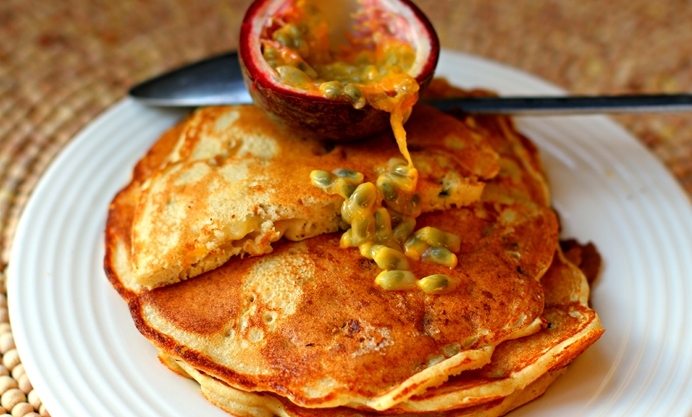 I had never really seriously considered buckwheat pancakes as an alternative to the plain flour version; the healthy option isn’t usually as tasty is it? Well, let me tell you my friends, these are so fluffy and light that I had to share the recipe with you. They are moist and airy, not gritty or clumpy at all so don’t worry on that front; I didn’t add any sugar but you could if you really wanted to. The banana is chopped into small pieces rather than mashed to avoid making them heavy and the passion … it comes through. I used pure maple syrup on top, but just a few drops.